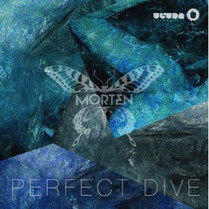 Danish DJ and producer Morten is heading into deeper and techier territory with his upcoming release ‘Perfect Dive’, out March 7 on Ultra Music. Orchestrated strings are juxtaposed with a deep bassline, coming together to create a thoughtfully developed sound that is equally suited to an underground warehouse as it is to a festival stage. Already supported by the likes of Avicii, Axwell, Cazzette, Showtek and many others, ‘Perfect Dive’ marks Morten’s first release since signing with Ultra Music, a partnership that should see continued musical growth. In 2013, Morten’s biggest single to date, ‘Look Closer’, premiered on SiriusXM to decent reviews and was pretty big throughout the summer. Before that he released ‘Larva’ featuring Rebecca & Fiona, which is an enigmatic and emotive progressive track adorned with budding synths, a bass line and an apex that breathes energy onto the dancefloor. ‘Larva’ recently went platinum, broke the Beatport Top 20, and has garnered over 2.4 million streams. Other tracks from Morten include ‘86 Degrees’ [Pinkstar], and ‘Get Static’ [Big Beat], while remixes include Medina’s ‘Forever’ [Ultra], Stafford Brothers’ ‘Hello’, featuring Lil Wayne and Christina Milian [Cash Money Records], and Rebecca & Fiona’s ‘Taken Over’ [Ultra]. Check it out below.